Medical dressings have always been flat and formulaic. But who says bandages have to be 2D, when we live in a 3D world? Although the Hidradenitis Suppurativa (HS) patient population has been trending steadily upwards into the millions each year, there was no ideal dressing for the axilla - until now. 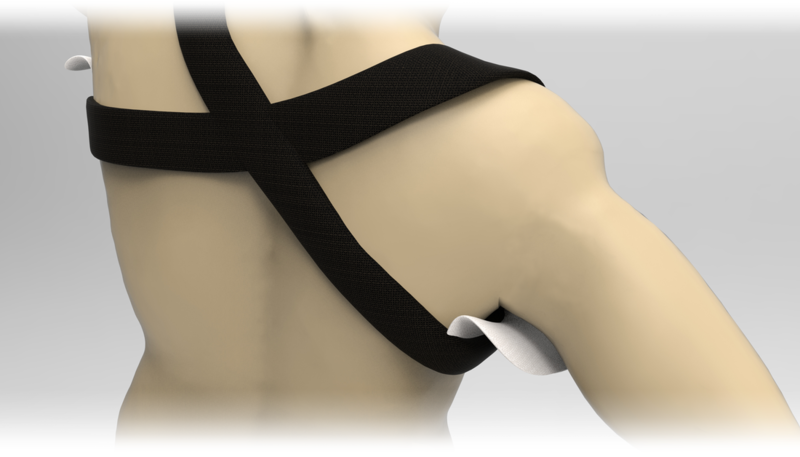 Nothing exists to bandage the axilla in a secure, effective, and painless manner. For Hidradenitis Suppurativa patients, this is an acute pain point. HS patients are forced to buy inadequate products, leading to a decrease in quality of care at significant monetary cost. Imagine withdrawing from friends and family, unable to go to work or school. Unable to truly talk about this excruciating condition without fearing judgement from others. With no definitive cure in sight, imagine the insurmountable frustration and depression continuing for years and years. ​Over 3 million Americans wake up and go to sleep thinking about this daily struggle. Now imagine if one of those 3 million users is someone you know. During the 2017 JeffSolves MedTECH accelerator program, our team extensively researched varying axillary dimensions and range of movement, using modern 3D technology. Inspired by the wide variety of creative user hacks on dressing methods, we identified the ideal features needed for our product. ​With our combined vision, we developed a 3D bandaging system which offers a more affordable, streamlined, and user-friendly option to treat axillary wounds on a daily basis. "The ideal dressing for HS patients has good absorptive capacity, is atraumatic, and is useful for special body sites, like under the arms or groin. The form of dressing should be appropriate to use in skin folds." Through user experience research and expert testimonies, our ALAFLEX team discovered that women's sanitary napkin products provide similar coverage and a relatable market model. Our product provides leak and odor protection, while offering comfort and discretion. 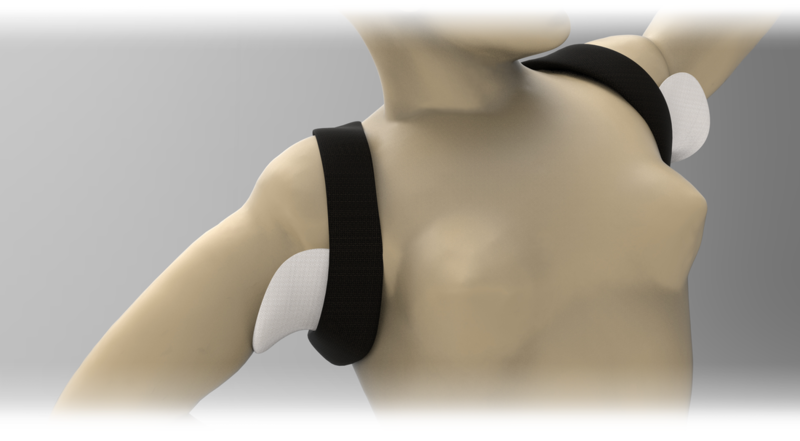 Though the ALAFLEX is primarily geared towards treating HS patients, users suffering from hyperhidrosis and other axillary wounds and conditions would benefit from this affordable option. For the millions of people afflicted with HS, some of whom change their dressings anywhere from 2-6 times a day, this 3D bandaging system could be the difference they need to live and move freely again.